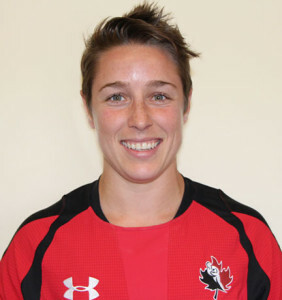 Being an amateur athlete in Canada is a dream but it does take a financial toll. Having the support of CAN Fund is an extra weight off my shoulders to help me focus all my resources on training and competing. Sandro believed in me when I was 16. Now he is our Assistant Coach for the National Team so it’s been special to share the journey with him. John gave me my first real chance with the Sr. National Team and I will be forever grateful to him for that. A lack of trust in National coaches (before John) that I was able (physical enough, big enough, skilled enough) to play at the senior international level. Singing the National Anthem before big games. We only do that before Finals so to be there is a reason in itself to be proud. But between the goose bumps, the girls embraced standing shoulder to shoulder and the fans singing in support, it’s a proud and honest moment just before kickoff. I started playing rugby in grade 9 at my high school. It was a pretty unknown sport back then, but it was popular at Lawrence Park C.I. in Toronto. 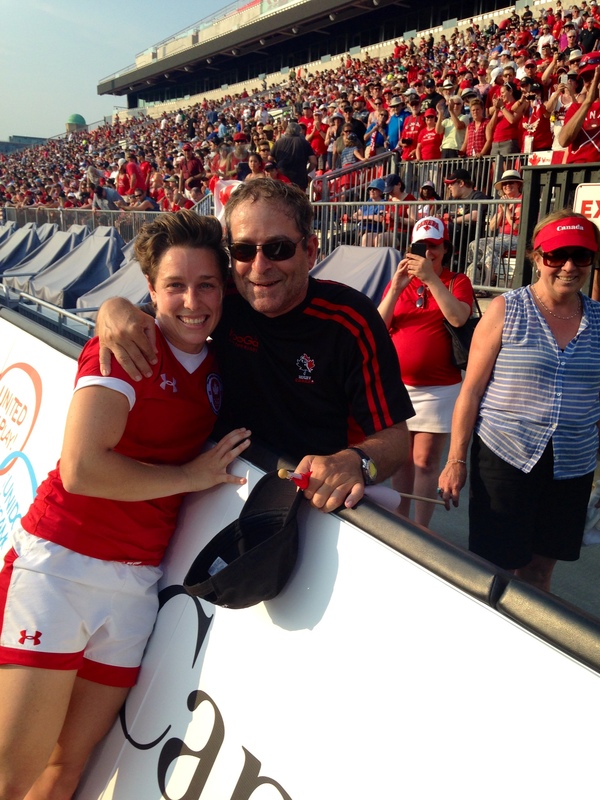 I was captivated pretty quickly and played high school, club and provincial rugby within my first year. There weren’t any set pathways to the National Team then, but I played as much rugby as I could and the experience is still paying off. -My family for always supporting my sporting career, especially when I was a young kid. My dad would drive me through Toronto rush hour traffic to Aurora 3 times a week for practices and games. It’s things like that I look back on and know played a huge role in my successes now. -A number of coaches along the way who have left lasting impressions on me and helped make the person and athlete I am today – Mark, Mike, Sandro, John. -My partner for going through this journey with me. Full time amateur sport is not always pretty and I appreciate her support and understanding through some of the dark days of training. The higher you progress in your sport, the harder it gets. The fitter and stronger you get, doesn’t make it easier, it just means you can push even harder. 1.Believe in yourself. Self-belief is one of the hardest things to master, but once you do you’ll be golden no matter what you do. 2. Be ready to work hard. Dreams are not fulfilled sitting on the couch! 3. Stick to the fundamental skills. Sport is about doing the fundamental skills extremely well and under pressure. 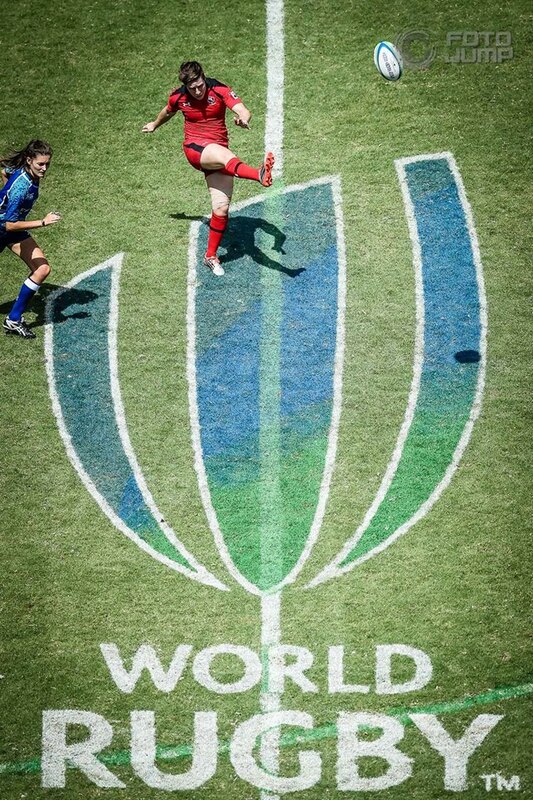 Finishing 2nd at the World Cup. 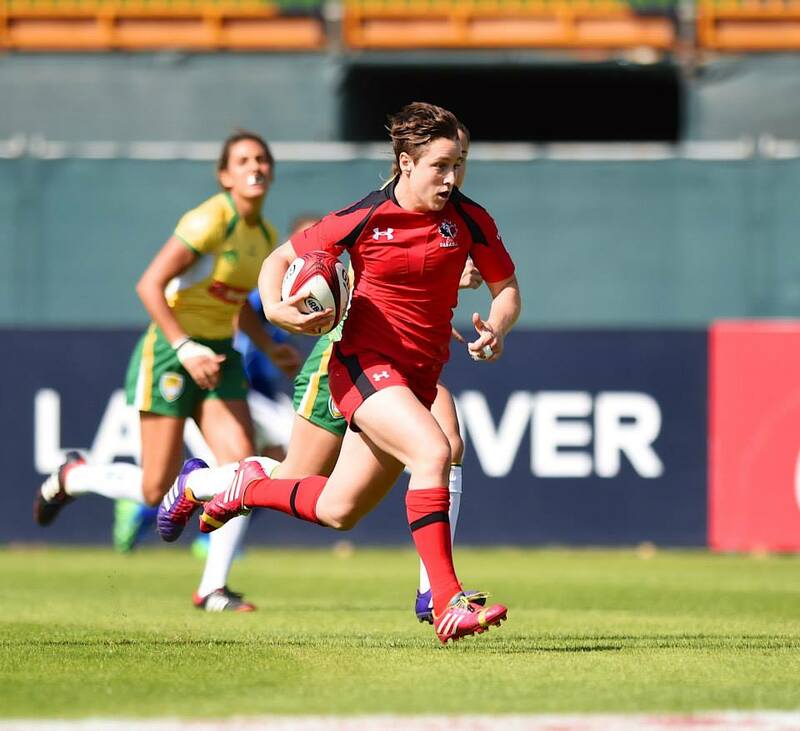 Canadian Rugby was never at the forefront of women’s rugby and finishing 2nd put us there as competitors worldwide but also helped grow rugby in Canada. Honesty, simplicity and they add positivity to my world. Smoothie: berries, banana, oats, spinach, Greek yoghurt, chia seeds, hemp hearts, protein powder (if I need some extra protein). Homemade pasta sauce: whole tomatoes, tomato paste, onion, garlic (lots! ), basil. oregano, salt and pepper. Italian food is best kept simple.